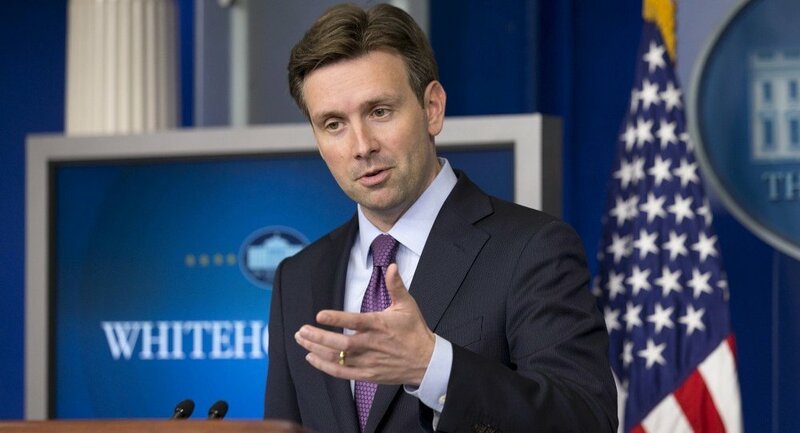 White House spokesperson Josh Earnest commented on the US President Barack Obama's draft authorization for the Use of Military Force, saying that it did not include geographic limitations. WASHINGTON (Sputnik) — Geographic limitations are not being included in US President Barack Obama's draft authorization for the Use of Military Force (AUMF) against the Islamic State terrorist group to deter them moving into neighboring territory unharmed, White House spokesperson Josh Earnest said during a press briefing on Wednesday. "There are no geographic limitations included in this specific draft legislation," Earnest said. "If necessary, it would preserve the ability of the President [Obama], the commander and chief to order military operations against ISIL or ISIL-affiliated groups in other countries." Earnest stressed that the United States does not want to give the impression to the Islamic State that the extremist militant group can "establish a safe haven somewhere else," out of reach from US military capability. "That is why we've been clear about not including a geographic limitation in this [AUMF] proposal," Earnest said. President Obama sent Congress a draft AUMF on Wednesday that would give war powers to the president to conduct operations against the Islamic State. Although the draft AUMF would not authorize an enduring US ground combat role, it would put local forces in Iraq and Syria at the forefront of ground combat operations against the group. The AUMF draft follows US military operations against the Islamic State that began last summer in Iraq and Syria with airstrikes after the terrorist group seized large swaths of territory in Iraq. If passed by Congress, the AUMF would have a three year mandate. The United States is leading a 60-nation anti-Islamic State coalition, targeting the militant group’s military positions, command and control centers, infrastructure and financial sources, according to the Pentagon. As part of the effort to "degrade and defeat" the Islamic State, the US and its coalition partners are supporting and training Kurdish and Iraqi security forces, and are planning to train moderate Syrian rebels over the next year to take the ground fight to the Islamic State in Syria.